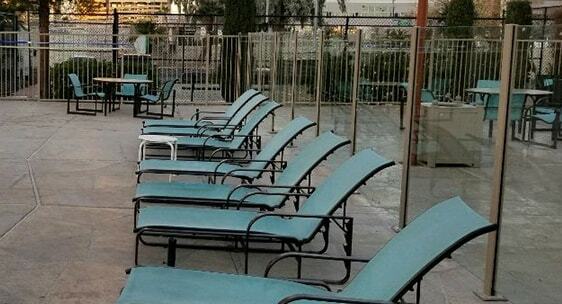 The Marriott Hotel Las Vegas replaced one side of their existing metal pool fence with our tempered glass Aluminum Windscreen System. 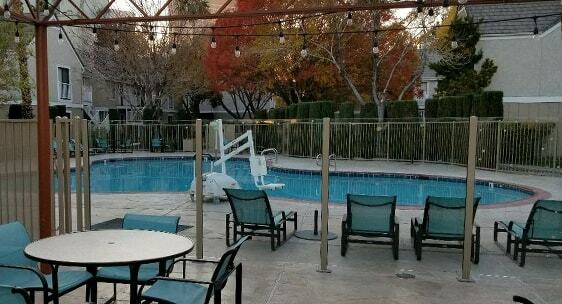 This simple renovation instantly opened up the space by removing the visual barrier between the patio and pool deck area. 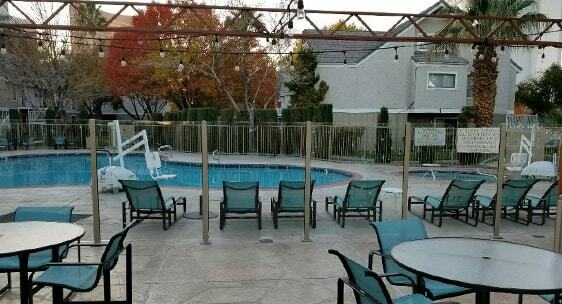 The durable aluminum posts were cut to a custom height of 66” and powder coated in a custom beige color to match the existing railings. This project shows that even a small section of glass fencing can go a long way towards modernizing a property’s aesthetic.